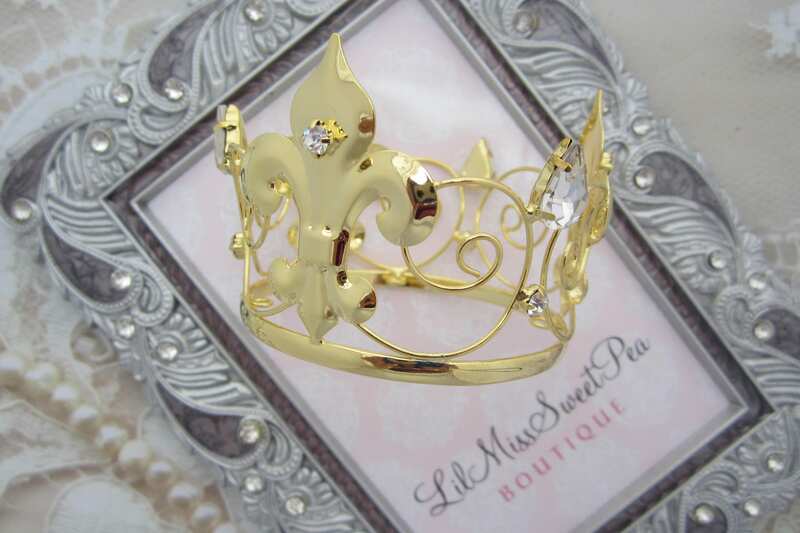 Rhinestone crown for newborn baby photo shoots. Gorgeous! 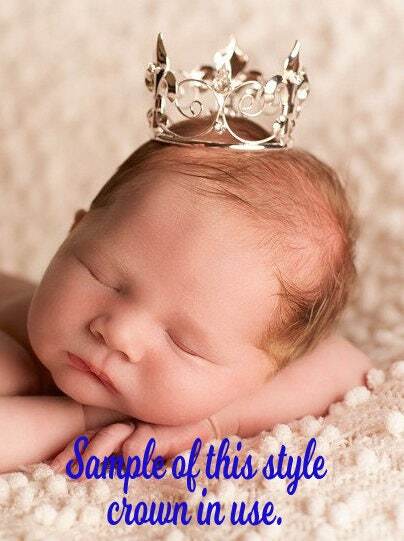 Use as a photo prop for your maternity photos then on the newborn. 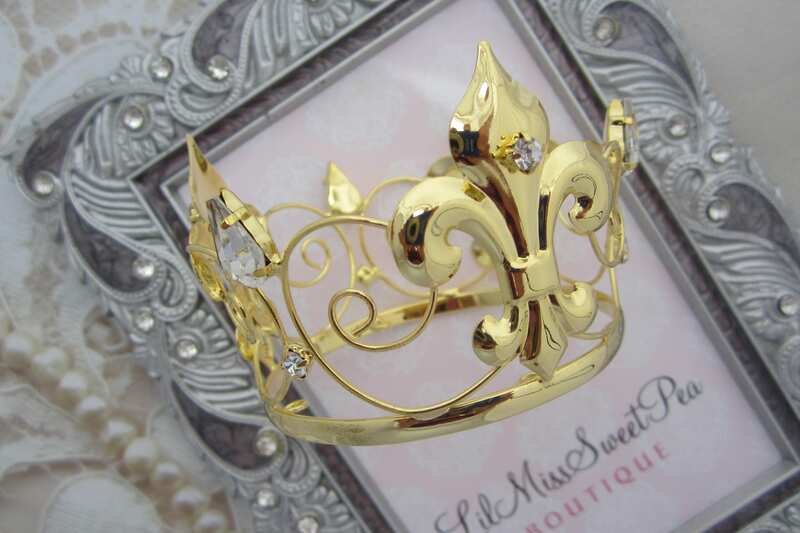 Measures 2 1/2 inches at the base 3 1/2 inches across the top and is 2 inches tall. Lightweight, high quality clear Austrian crystal rhinestones. 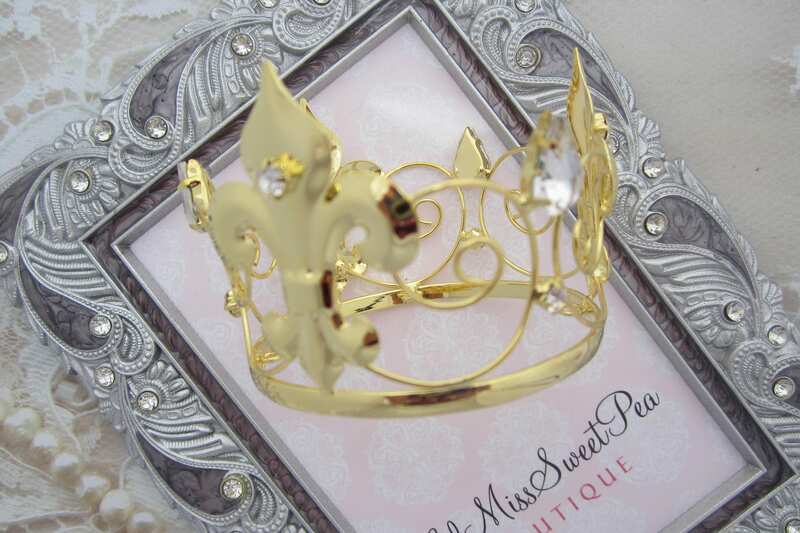 This gold crown also has rhinestones on it. Perfect for photos on an older baby also!! You may request skinny elastic added, however, elastic is not recommended for newborns.